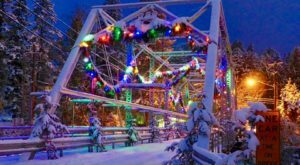 Every winter, the charming lakeside town of Bigfork transforms into a magical Christmas village. 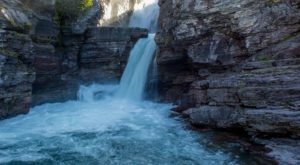 From early November through New Year’s Eve, you’ll find all kinds of fun holiday happenings here, not to mention the town’s decor that seems to get more and more festive every year. 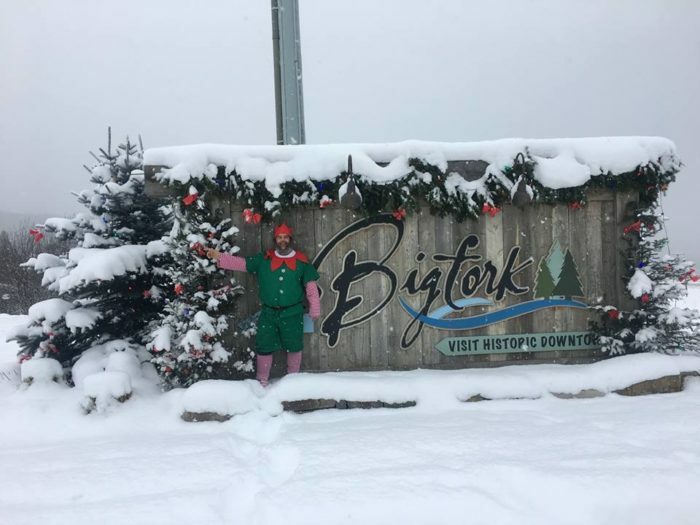 If you’ve never experienced Bigfork during the holiday season, make this the year you go… in fact, you may want to go this weekend. 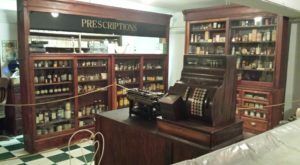 The festive fun begins in November, when a group of volunteer "elves" work diligently to decorate the town. Every downtown building gets decorated, and the results are beautiful. 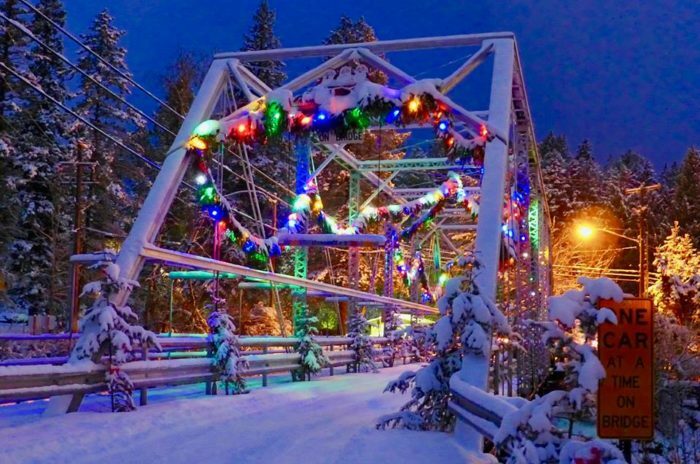 Strolling through Bigfork this time of year is absolutely magical, especially when it snows (which is fairly often). 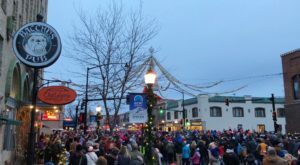 This Saturday, the annual Holiday Parade Of Lights kicks off at the corner of Grand and Electric Avenue. 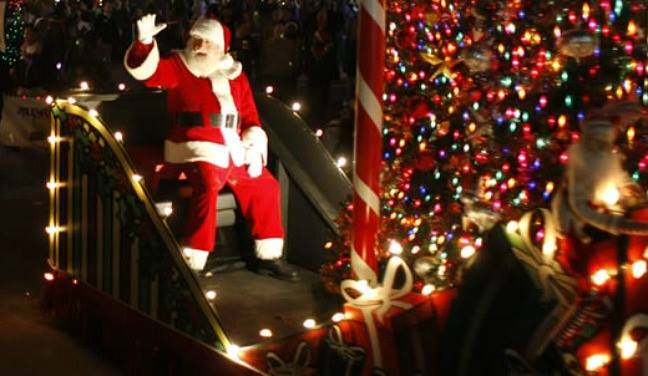 The parade starts at 5:30, but Santa will hang around after it's over to meet any children who want to see him. 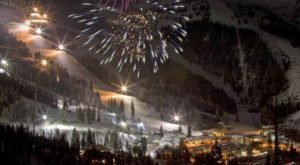 On Wednesday, December 6, Marina Cay Resort will host Bigfork's annual Wine Stroll. 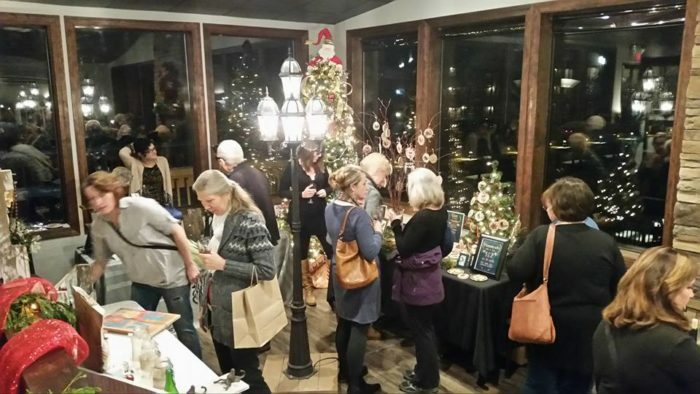 This is an opportunity to shop for gifts made by local vendors, enjoy appetizers and get to know the community, all while drinking wine. Tickets are only $10 in advance, $12 at the door. 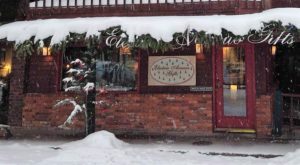 You'll find something going on in Bigfork nearly every day in December. 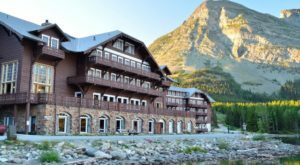 From the Festival of Trees silent auction on December 8 to fancy dinners at the Marina Cay Resort, this town really knows how to celebrate the most wonderful time of the year. 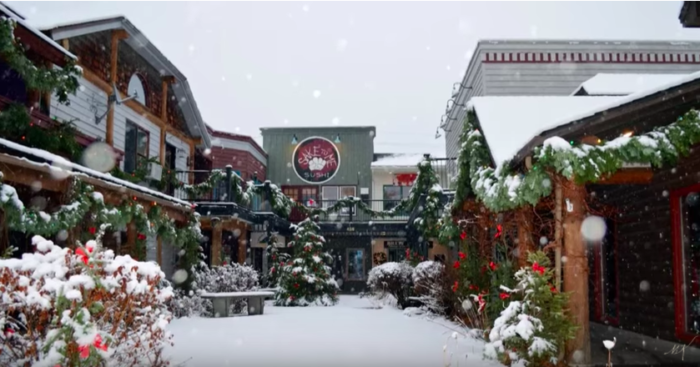 We love this YouTube video, put together by MK McClintock, that shows off Montana’s Christmas village at its finest. 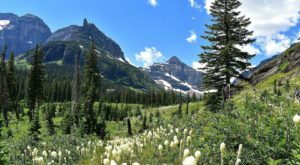 Bigfork looks incredible this time of year, but if you can’t make it, don’t worry — Montana has plenty of other enchanting Christmas towns you can visit.